Droll Yankees Nectar Guard Tips. Fits Droll Yankees feeders. 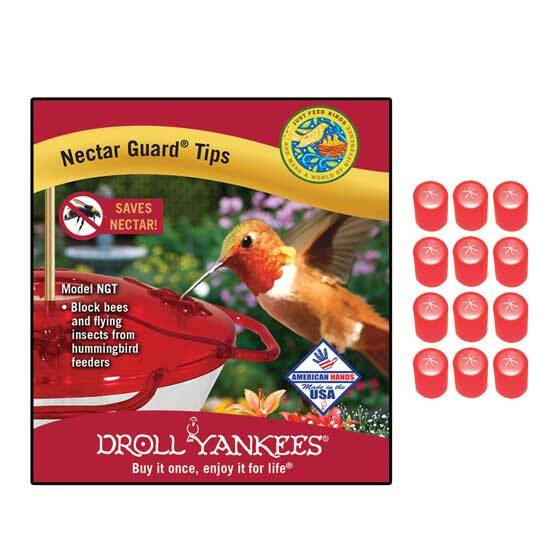 These Droll Yankees nectar guard tips will fit the Droll Yankees feeders. They will block bees and other flying insects from your hummingbird feeders. Fits Droll Yankees Hummingbird Feeders. Droll Yankees patented ingenuity 12 pack.